For a casually elegant getup, make an olive overcoat and black chinos your outfit choice — these items the place of work really well together. When it comes to shoes, this getup is complemented wonderfully with Paraboot lace up loafers. 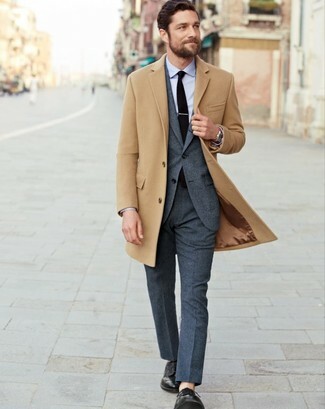 Consider wearing a camel overcoat and a charcoal suit for a sharp classy look. For something more on the daring side to round off this ensemble, opt for a pair of black leather derby shoes. 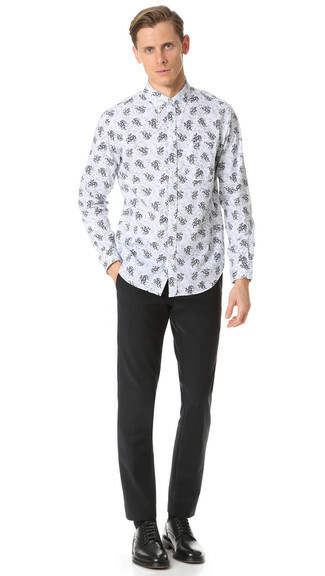 For a nothing less than incredibly stylish ensemble, marry a white floral long sleeve shirt with black dress pants. When it comes to footwear, this ensemble is finished off perfectly with Paraboot lace up loafers from farfetch.com. 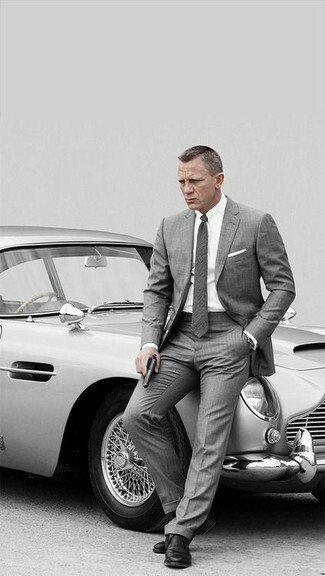 For a nothing less than incredibly stylish outfit, wear a grey suit and a white dress shirt. 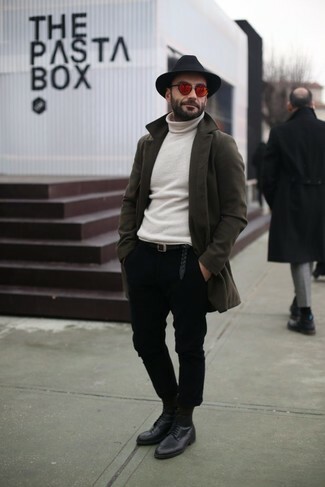 For something more on the daring side to complement this look, throw in a pair of Paraboot lace up loafers from farfetch.com. 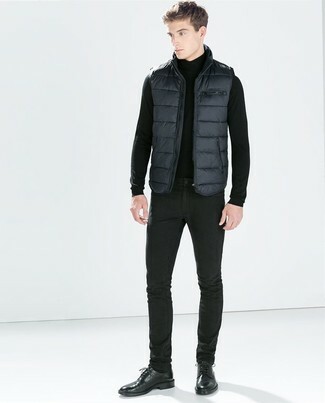 If you're on a mission for a casual yet on-trend getup, make a charcoal gilet and black jeans your outfit choice. Both of these pieces are totally comfortable and they also look great when paired together. 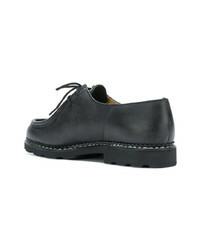 A pair of black leather derby shoes will bring a strong and masculine feel to any ensemble. We're all seeking comfort when it comes to dressing up, and this combination of a charcoal wool blazer and navy ripped skinny jeans is a great illustration of that. Sporting a pair of Paraboot lace up loafers is a simple way to add extra flair to your getup. Swing into something stylish and timeless in a black suit and a black dress shirt. 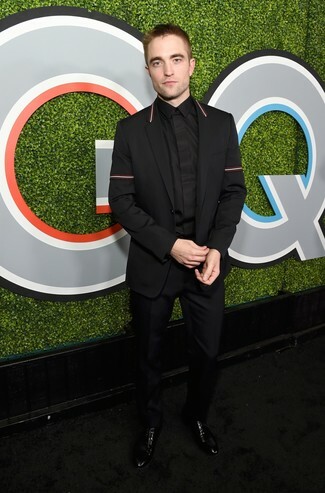 Unimpressed with this ensemble? Let Paraboot Lace Up Loafers shake things up. 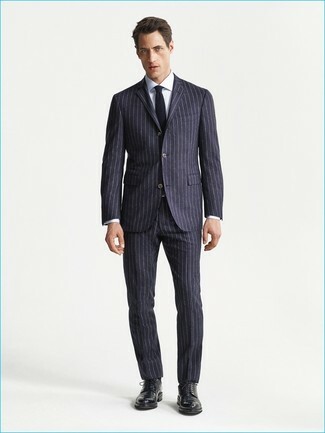 Team a black vertical striped wool suit with a white dress shirt for incredibly stylish attire. 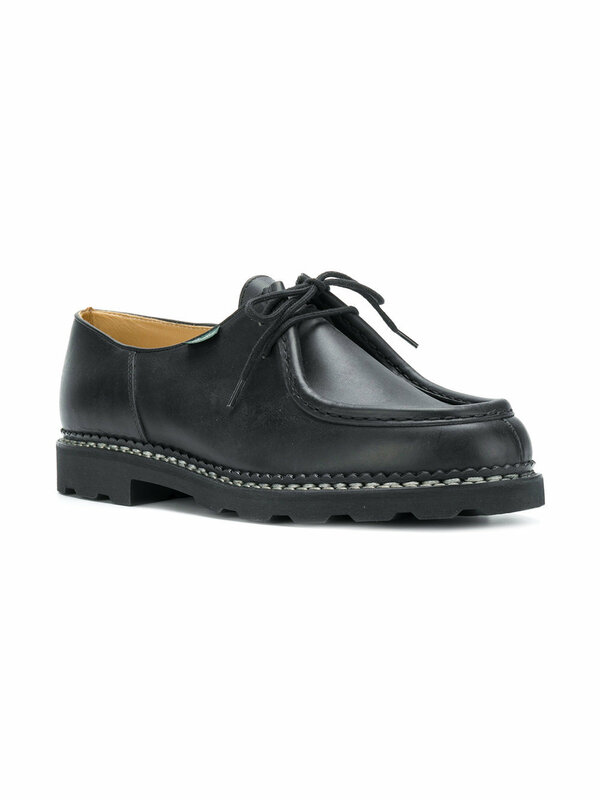 Black leather derby shoes will add a sportier vibe to your ensemble. 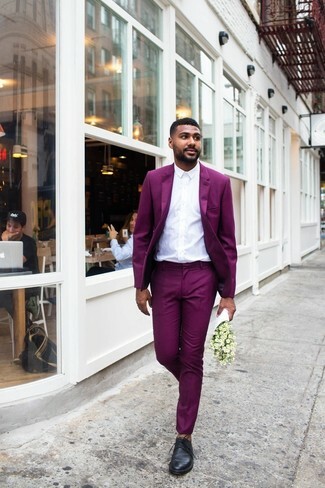 Rock a purple suit with a white dress shirt for a sharp, fashionable look. 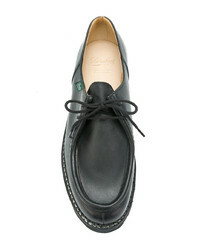 Paraboot lace up loafers from farfetch.com are the right shoes here to get you noticed.